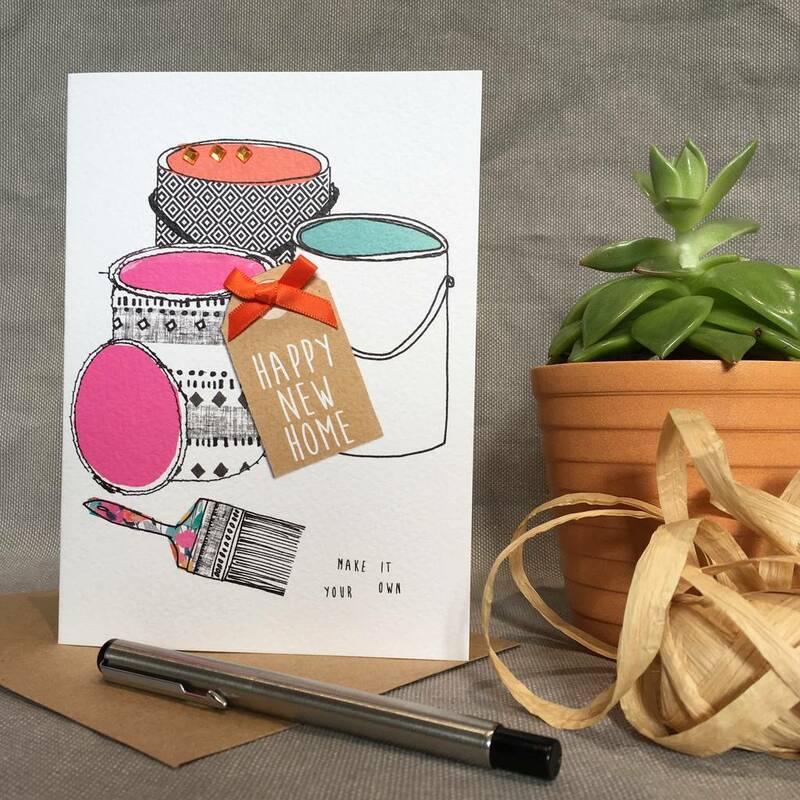 A colourful, design led, happy new home card. 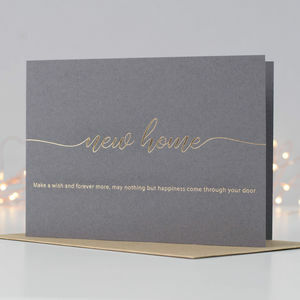 This card is hand-finished with diamond shaped, tea coloured gems and a shiny orange bow. 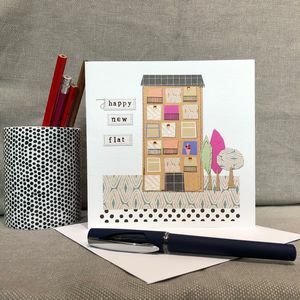 The cards is accompanied by a recyled kraft envelope. 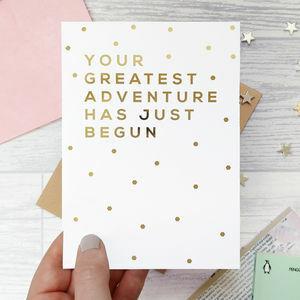 The card is left blank for your own message. 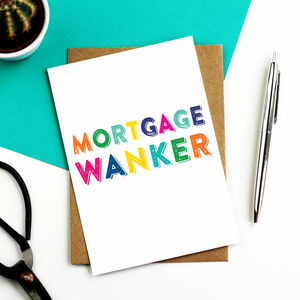 All our cards are designed and produced in the UK. 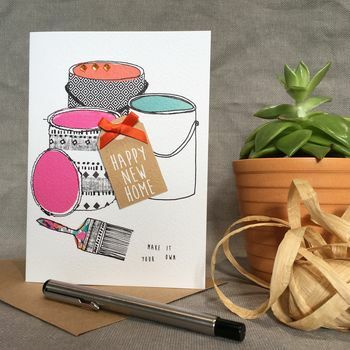 All our cards are printed on quality 330gsm FSC accredited, ethically sourced, board.